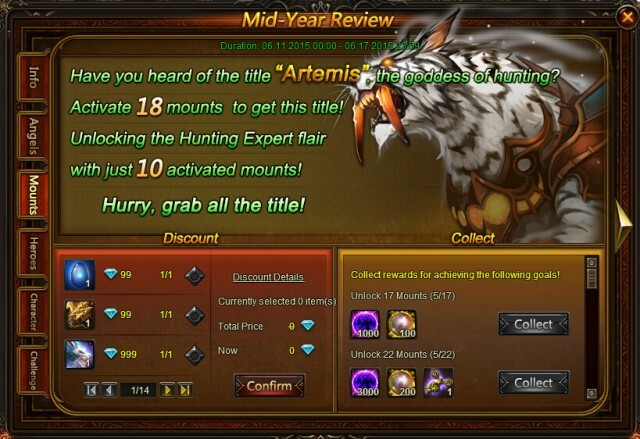 Description: At the middle of the year, we review the game information and would like to share these information with our players. Thank you for your devotion and suggestions. 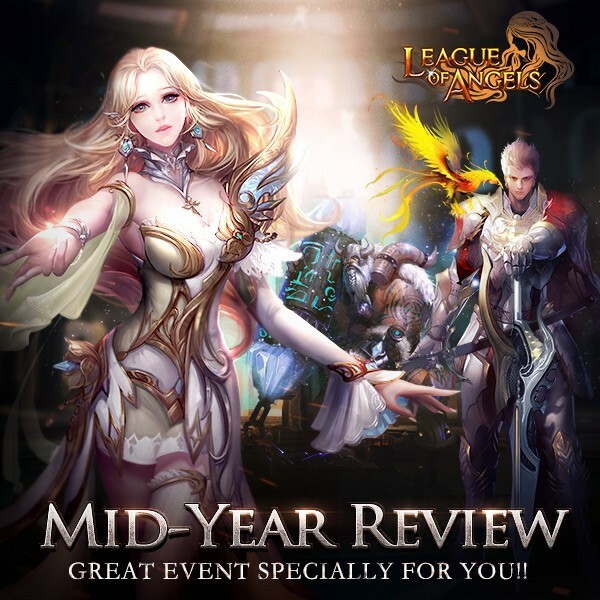 We are glad to share the encouraging information with all of you in Mid-Year Review, and have prepared some wonderful events. Hope you keep enjoying our game! 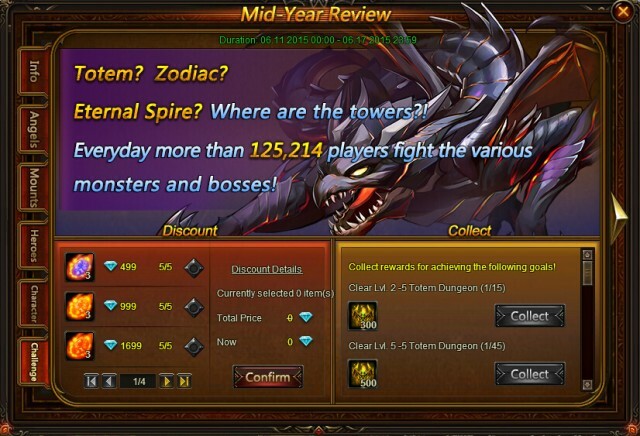 There are six pages in Mid-Year Review panel, namely Information, Angels, Mounts, Heroes, Character and Challenge. In each page, we share exciting information about the game with you, and you will find Discount part and Collect part in later five pages. 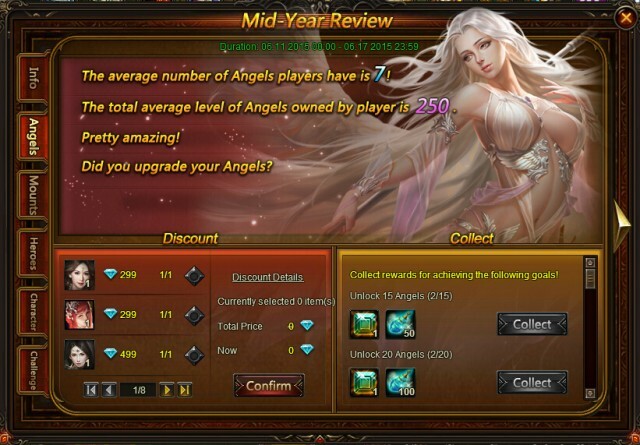 In this page you will see some interesting information about angels, such as the average number of Angels players have, and the total average level of Angels owned by players. 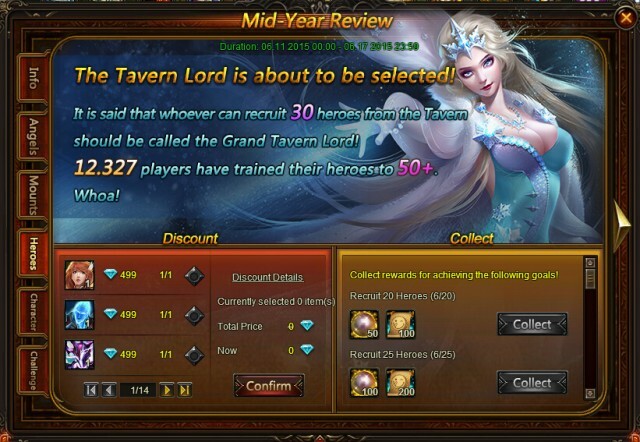 It is said that whoever can recruit 30 heroes from the Tavern should be called Grand Tavern Lord! 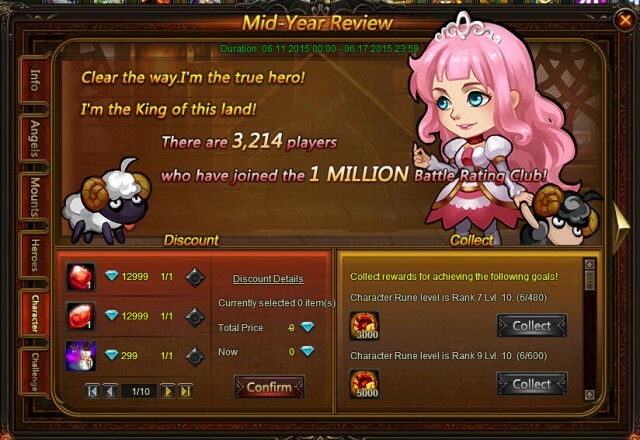 According to the research, there are 3,214 players who have joined the 1 Million Battle Rating Club! Hurry up, raise your BR and become stronger! 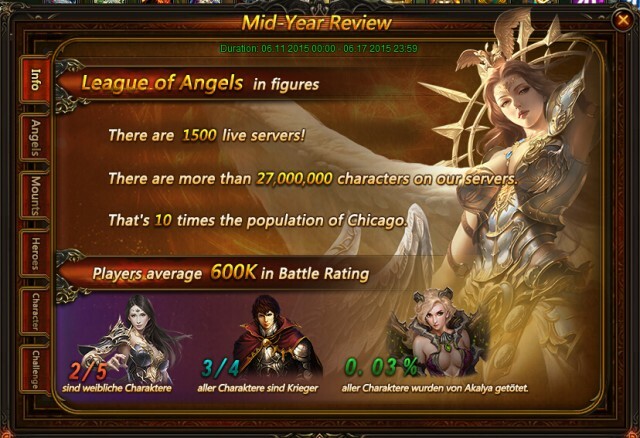 Everyday more than 125,214 players fight various monsters and bosses! Fight for justice and get more resource for your journey! LoA_Get Your Angel Artifact in Lucky Tree!